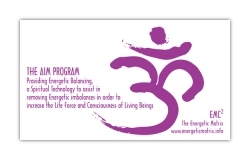 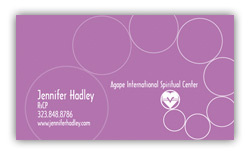 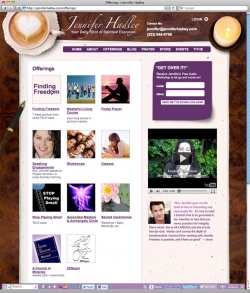 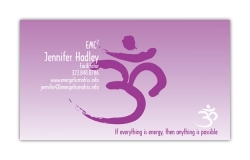 Jennifer Hadley, RSCP, is a licensed and gifted Minister, counselor and therapist. 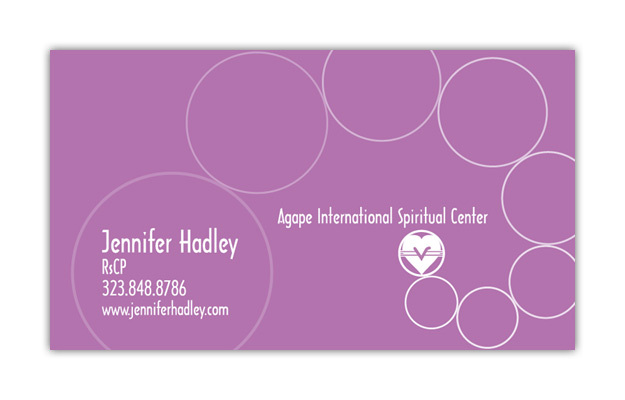 Reverend Jennifer Hadley graduated in 2006 from the Agape International Spiritual Center’s Ministerial Program, founded by Michael Beckwith. 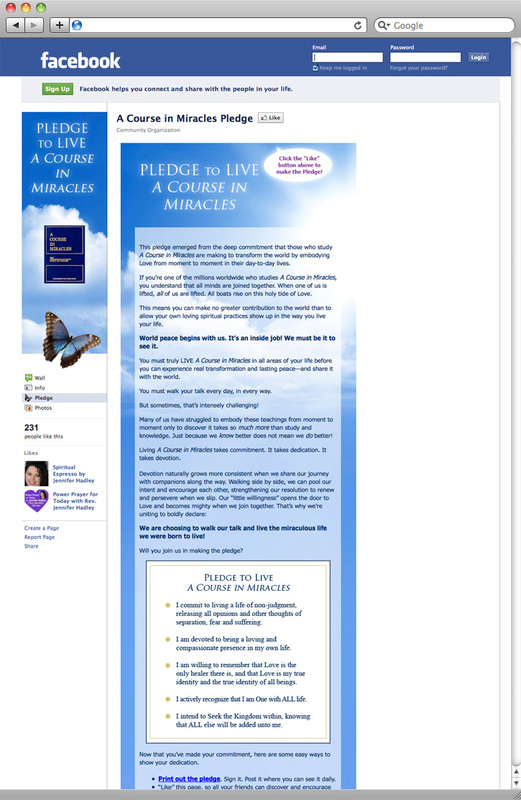 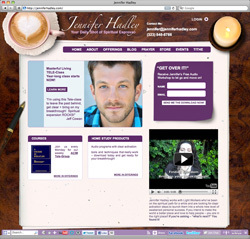 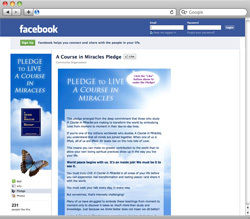 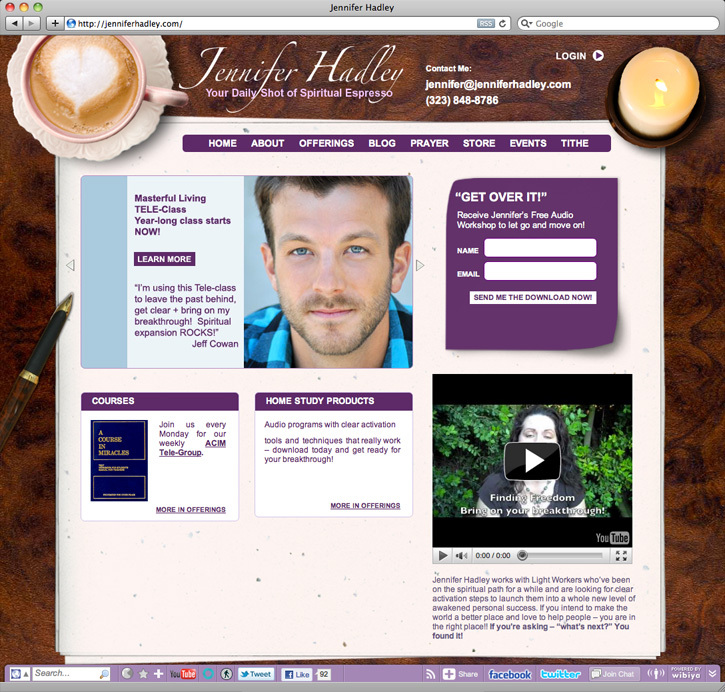 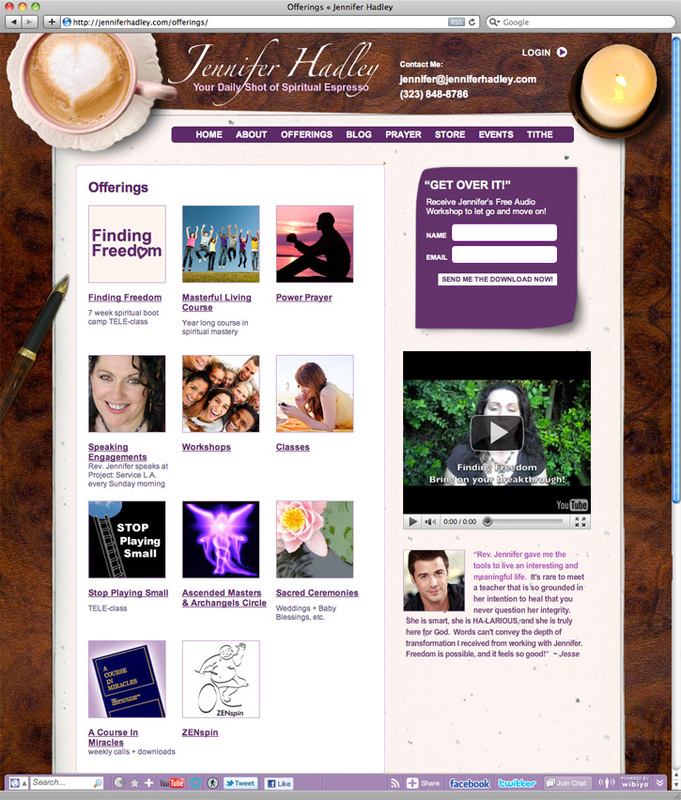 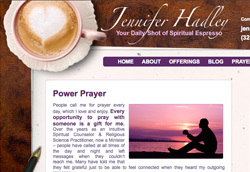 WackyPuppy designed and developed Jennifer’s main WordPress site and blog, as well as a Facebook page for her initiatives, A Course in Miracles Pledge, and business cards.